Since my family has decided to make healthy eating a part of our lifestyle, I have to get creative when the holidays roll around. With Valentine’s Day around the corner, I wanted to share with you a simple and healthy snack, perfect for school lunches or even to bring as a snack for the class! For this presentation I used cookie cutters that were in the shape of hearts and xo’s. Can you tell I am excited about the colors? I often get asked what I do from the left over pieces of fruit and vegetables when I use cookie cutter. My answer is simple, we eat them or save them for smoothies or soup. It works out really well. 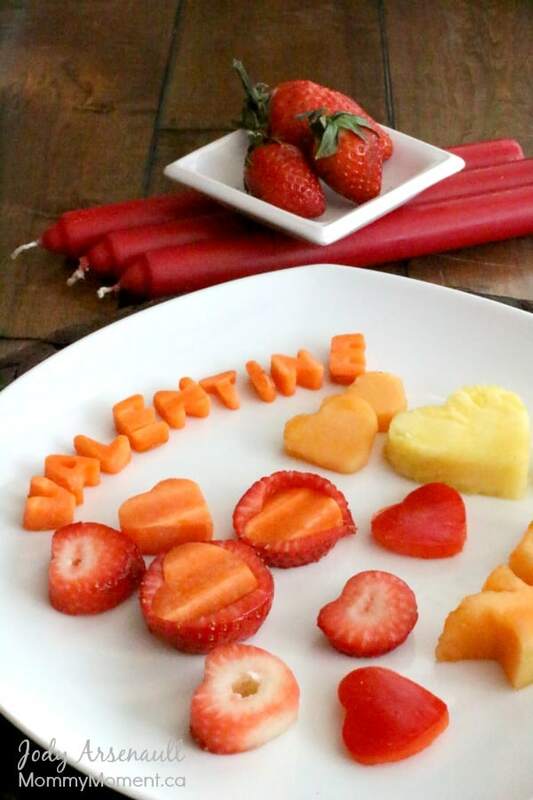 When I have brought fruit/veggie platters to some of the girls functions, they are placed among all the beautifully decorated Valentine’s Cupcakes and Valentine’s Day cakes, and still, my platter comes home empty – presentation really does excite children too! You can sign-up to get an email update each day, follow us on Twitter, Facebook, Pinterest, Instagram, Google+ and Blog Lovin’. What a great way to make kids more interested in food. I’d love to hear what shapes they would come up with for specific holidays. There truly are so many possibilities! Fabulous Jody! 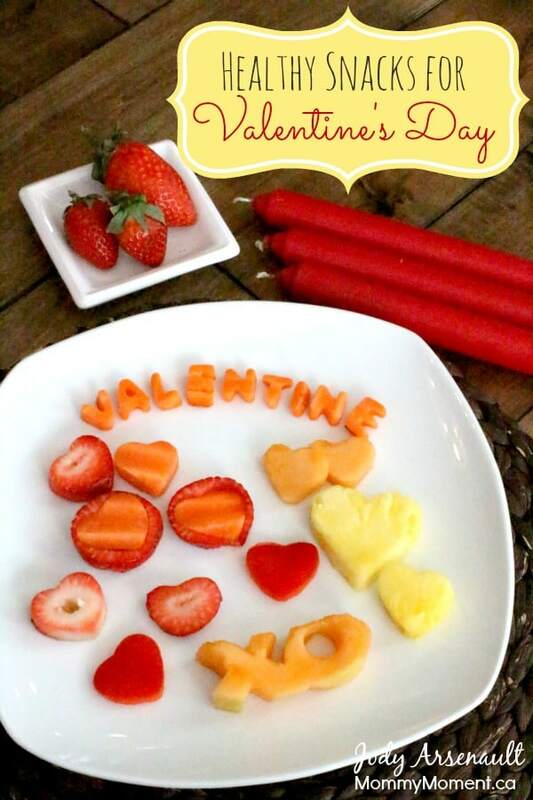 Such a fun and healthy way for kids to enjoy Valentine’s Day….. Thanks Kristen. My girls love the shapes so much! Great ideas my kids would love these treats and i love that they are healthy! So cute and creative! My kids would love these! Thanks Heidi! It’s amazing how much kids will eat if it is presented in a beautiful way! I really like this , healthy ideas , everything is all about chocolate at valentines , nice to see some better options ! thanks for sharing, these look so good! I will definitely try them out, especially since I’m trying to get back on track with my fitness! I love your healthy Valentine’s Day snacks. I wish more were creative with choosing good foods for Valentine’s. I have been thinking of ideas – I hope to share more here on the blog yet, I’m glad you love them. Thank-you so much! I appreciate it! My daughter is a very picky eater so it’s nice to find fun recipes to try. Thanks for sharing; love what you did with the fruits! Thanks Deb! It’s easy, fun & healthy! I am always looking for ways to get my daughter to eat more fruit! I love the strawberries. My daughter is so picky that I have to find creative ways such as these to get her to eat different things. Thanks for the great ideas! Way too cute! I love all the cut out pieces. Happy to see people planning ahead.